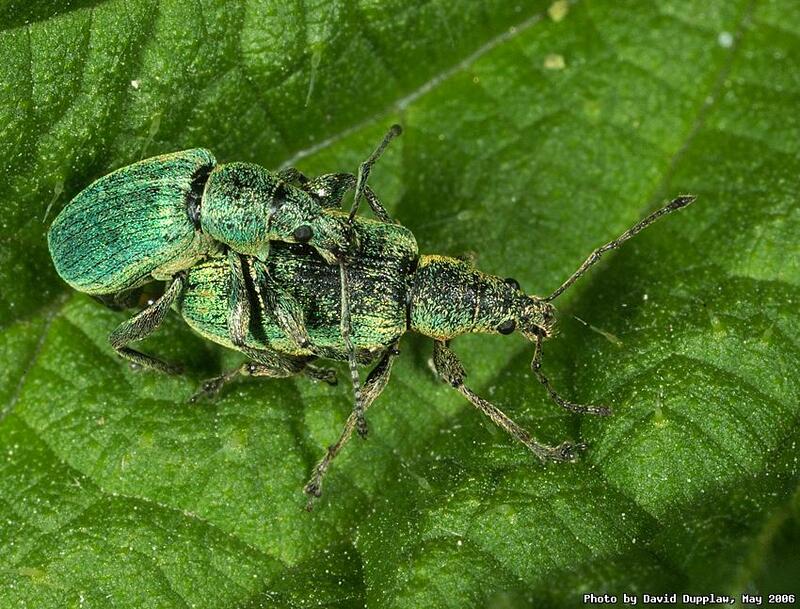 Here are two Green Immigrant Leaf Weevils (Polydrusus sericeus) doing what they do best. They were pretty wary of the camera and scuttled across the leaf arm-in-arm. In this photo you can clearly see the spikes on the stinging nettle leaf - these are what give you the sting when you touch one. These bugs are an incredible colour, and despite their bright turqouise, they're surprisingly well camouflaged.